When creative minds gather, the result is likely to produce something unexpected — innovative, trendsetting, and beautiful. 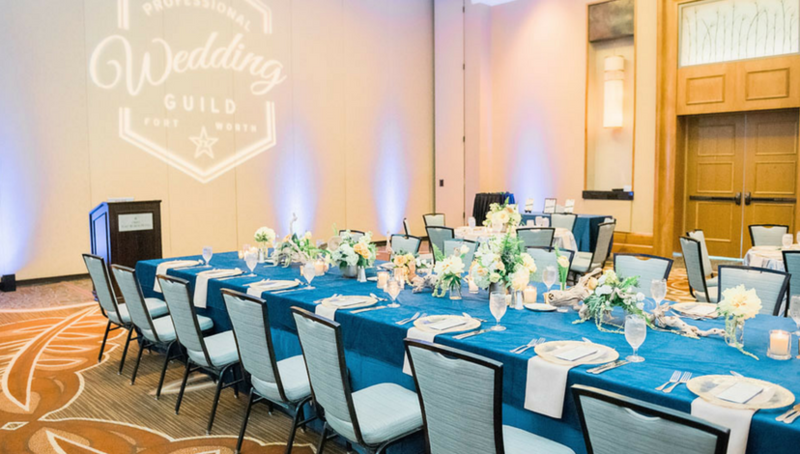 That’s exactly what happened at a recent Professional Wedding Guild meeting in Fort Worth Texas. 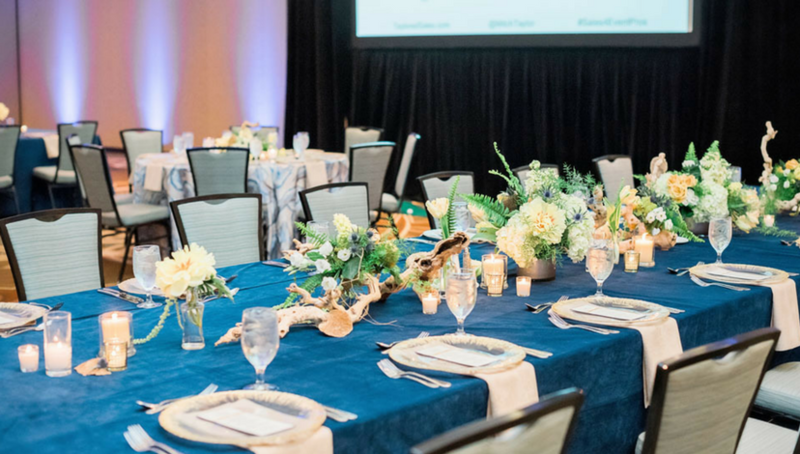 The fabulous creative team of Merren Events’ Renee McNew, Justine’s Flowers, and The Omni Hotel partnered with BBJ Linen to produce a delightful and memorable scene for some of the wedding industry’s finest. 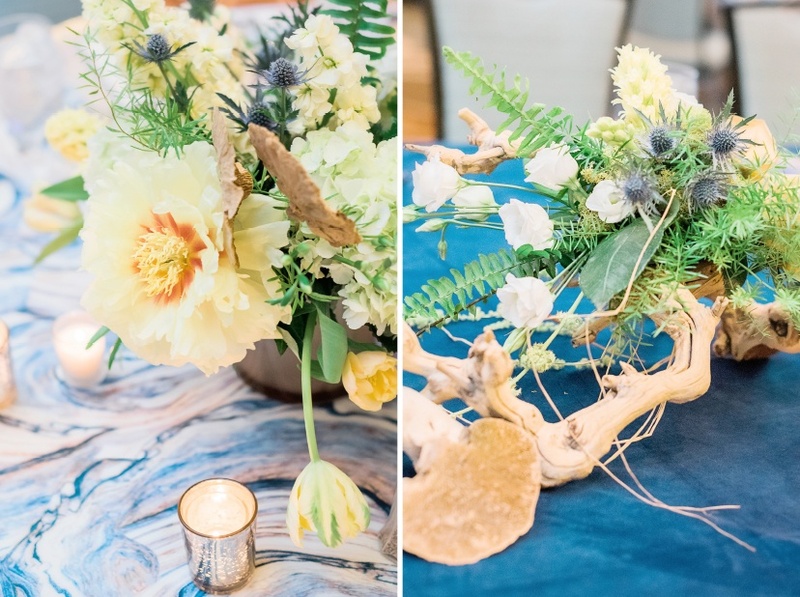 The decidedly fresh new look is sure to be embraced by wedding planners who are inspired by anything out of the ordinary. 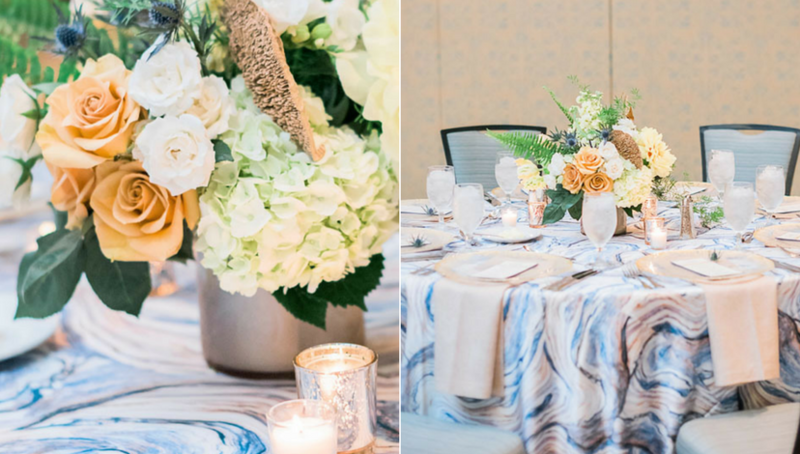 This event showcases how to pair modern colors and unique patterns with other unexpected elements to create an imaginative style. The Omni Hotel borrows from the Fort Worth’s Old West vibe to add modernity to its light-filled interiors, the creative team chose three unique linen and brought them together, juxtaposing cool contemporary with rich elegance to elicit a WOW response. For cocktails in the stunning open atrium of the hotel, our fluid modern Magma provides subtle elegance, and offers just a hint of the unexpected allure of table settings still to be revealed. This active and vibrant setting uplifts the ambiance. Swirling waves of bold pattern and vibrant colors are an edgy choice, and we think the total effect is stunning. Dramatic clear gold-rimmed chargers exhibit a pattern of their own, adding a formal note. 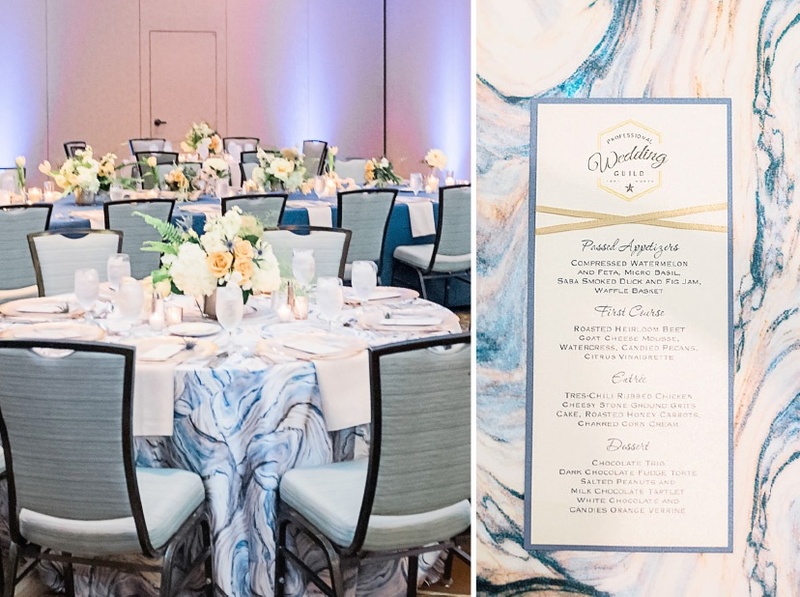 Success in event design is always a matter of details, and this gorgeous setting proves that details matter! 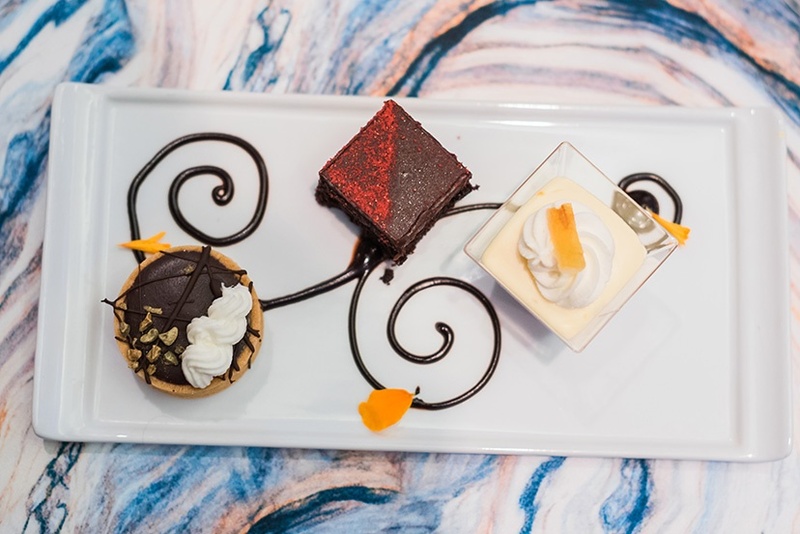 It’s all coordinated, from the linen to the menu cards, from the centerpiece to the patterned flatware. 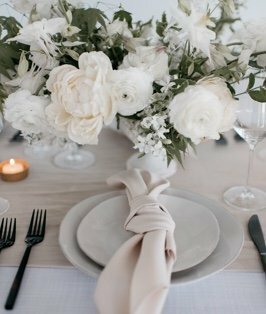 Just as each couple represents a blending of two families, floral displays complement but never compete with the table settings. Natural bleached wood limbs are an unexpected pair to subtle flowers, natural pods and trailing greenery that illuminate the luxurious midnight velvet linen. 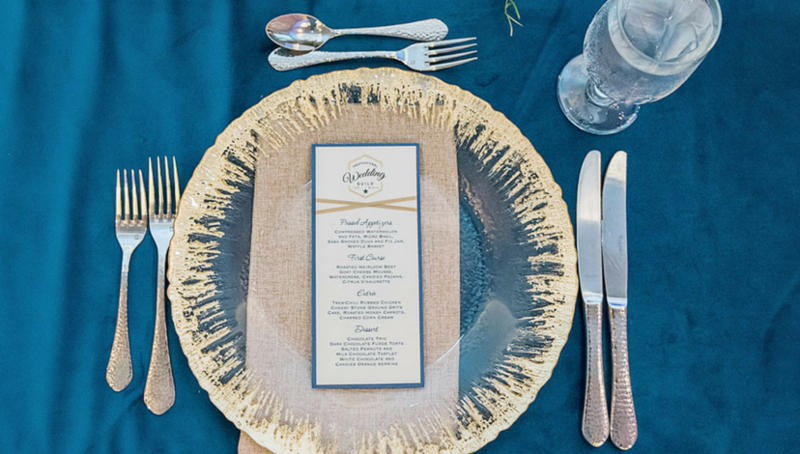 To accent the soft golden glow of the ballroom, designer team chose our Gold Alkaline napkins as a perfect rustic counterpoint to the table linen, picking up on the organic themed floral. 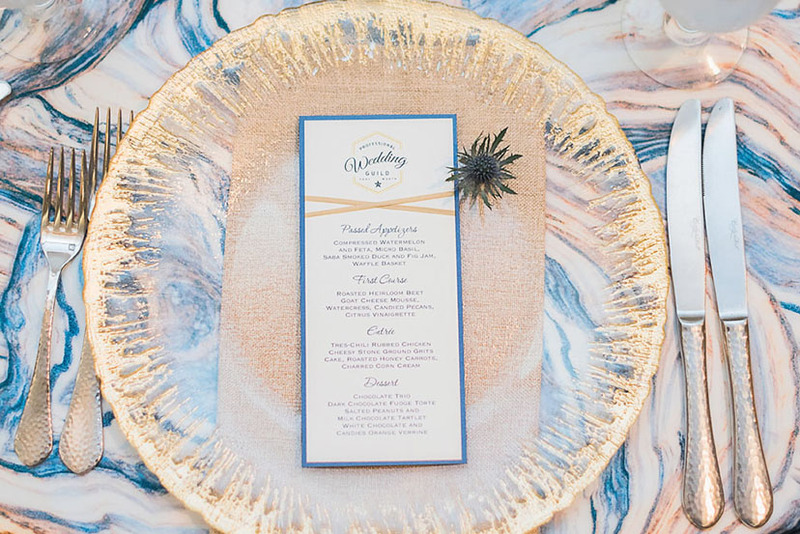 Creative genius is demonstrated by the complementing displays — from a terrarium filled with succulents to the accent of a single seed pod on elegant chargers, from chocolate swirls on the dessert plate to the undulating Azure Agate linen. 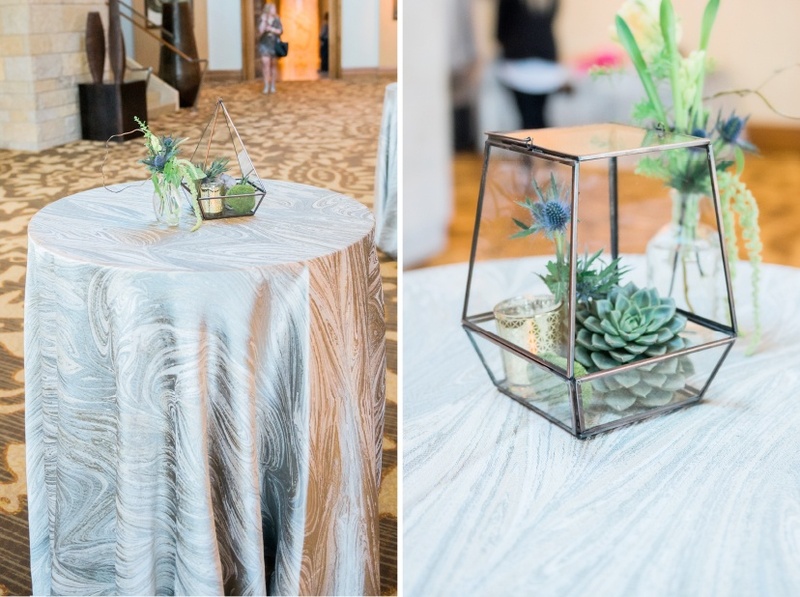 We hope this fresh look inspires you to pair unexpected elements and create one of a kind events!